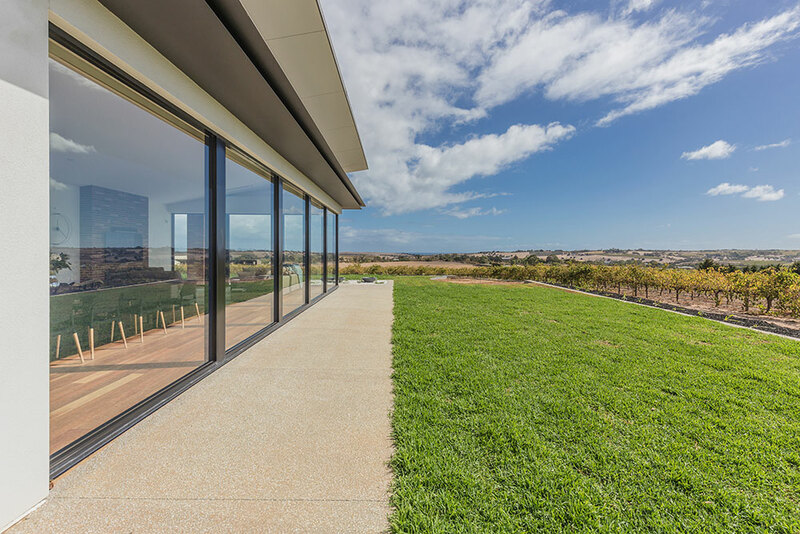 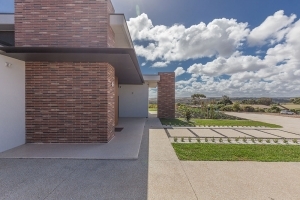 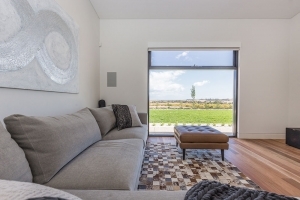 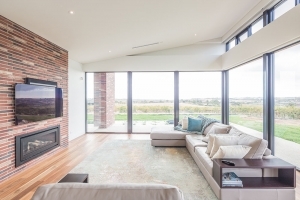 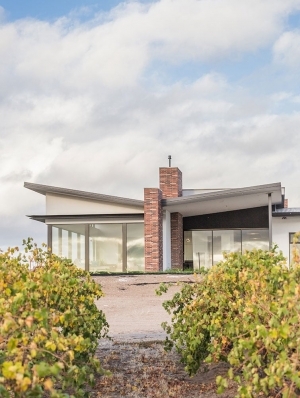 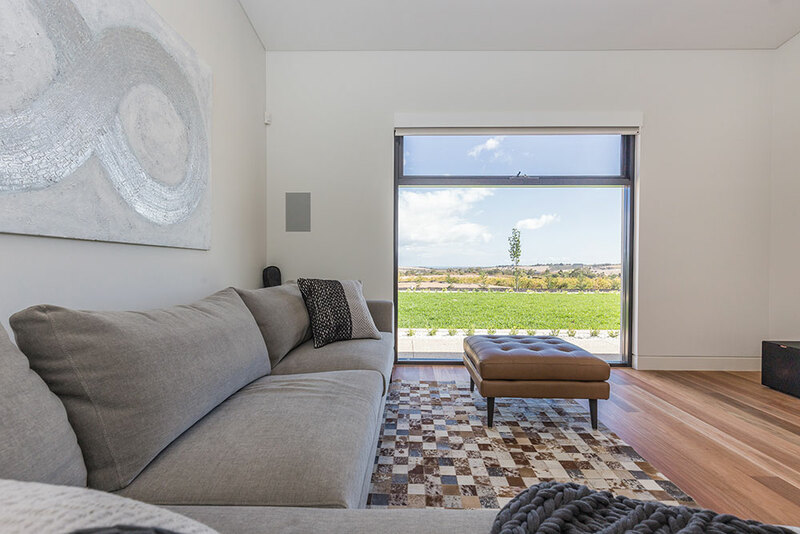 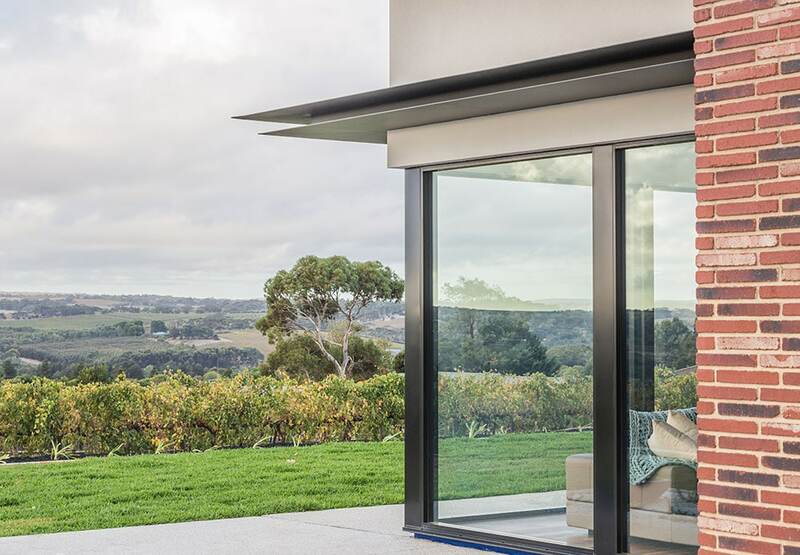 Perched on a hillside in the Fleurieu Peninsula this striking single-storey home captures the panoramic views of the surrounding vineyards and distant sunsets over the sea. 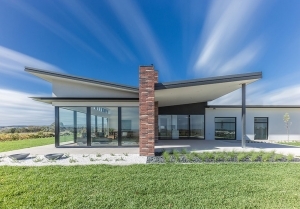 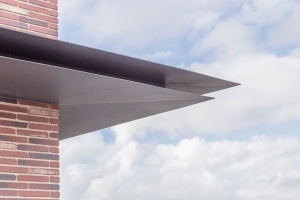 The multiple sweeping rooflines appear to hover with a double raked roof soaring up to 4.5m. 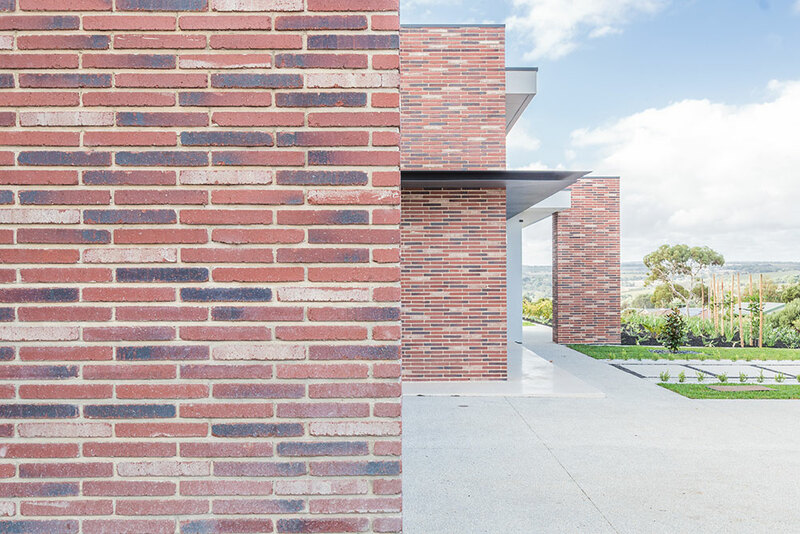 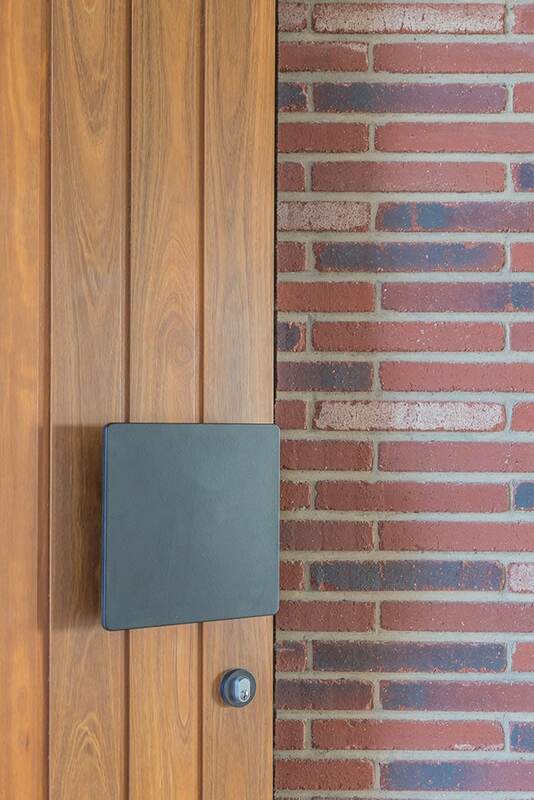 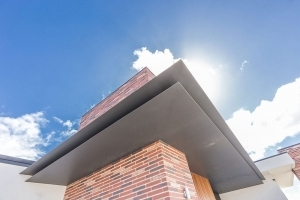 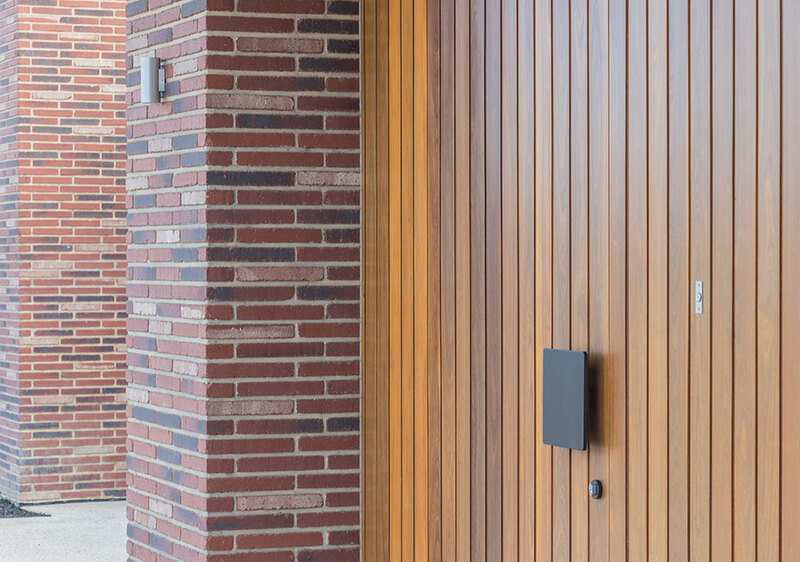 The home is grounded by aesthetically prominent yet functional oversized piers of imported 47mm rumbled red bricks that conceal the downpipes. 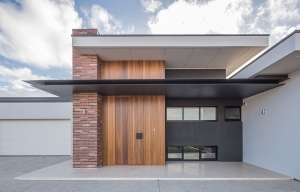 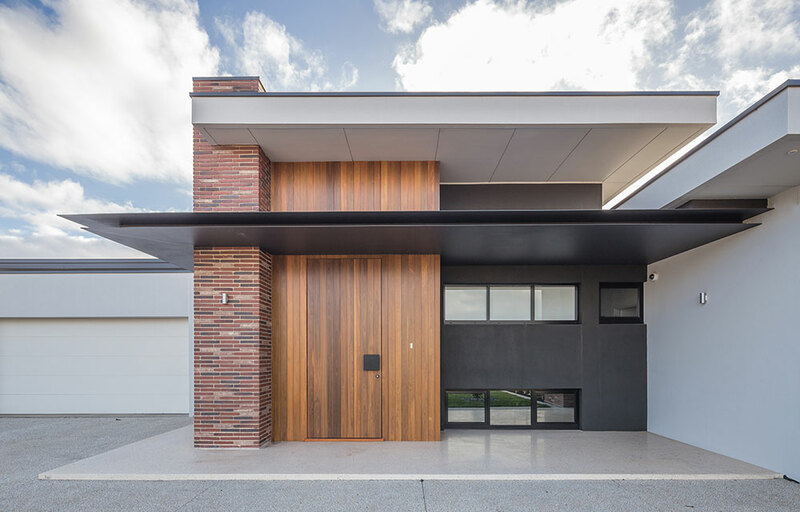 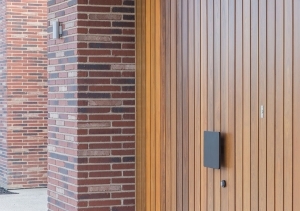 The Spotted Gum vertical cladding masterfully camouflages the entry door which opens onto the gallery beyond. 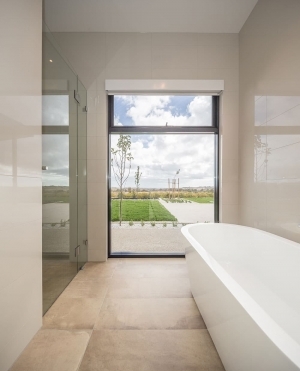 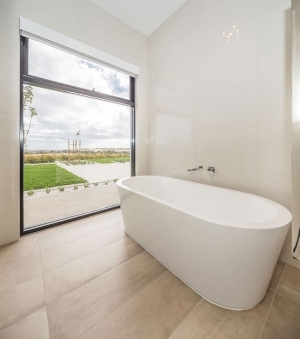 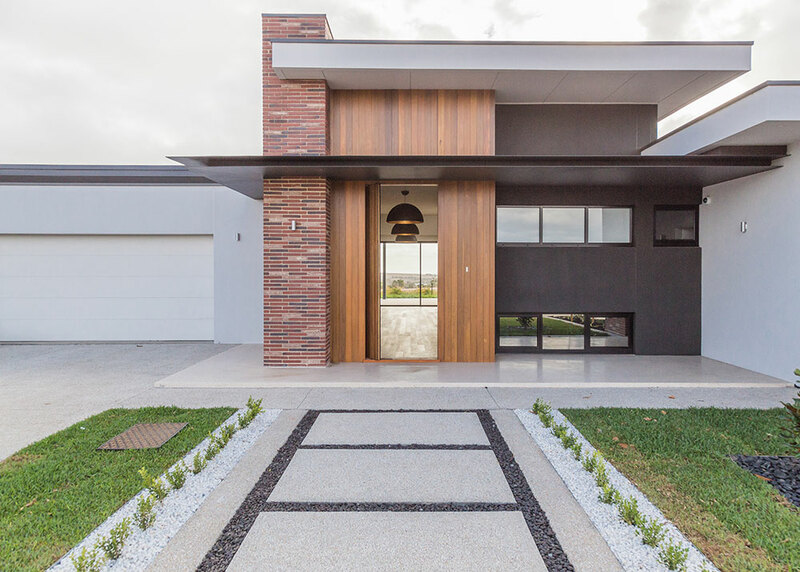 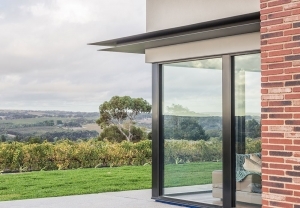 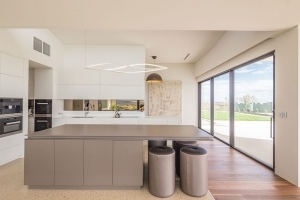 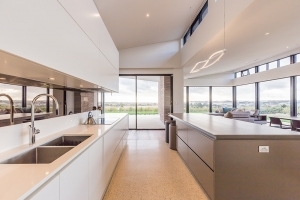 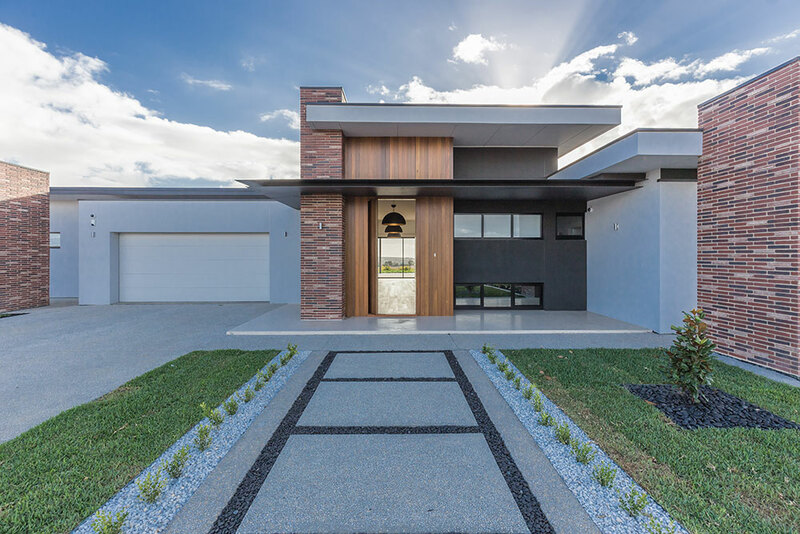 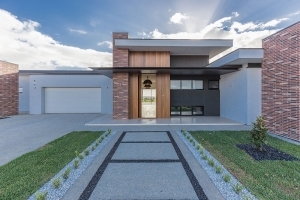 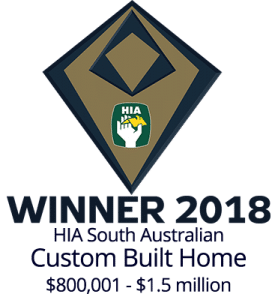 The home bursts with details such as the custom steel canopies, bespoke steel entry door and handle, P50 shadow line throughout and high-level windows with blind and winder automation. 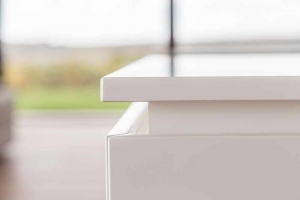 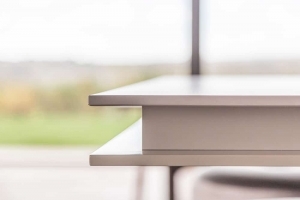 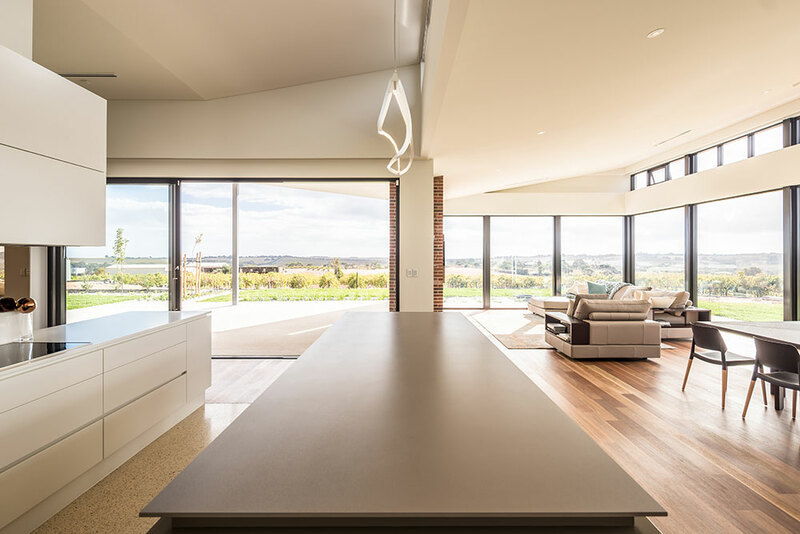 The crafted kitchen island bench cleverly replicates the steel canopy detail from outside. 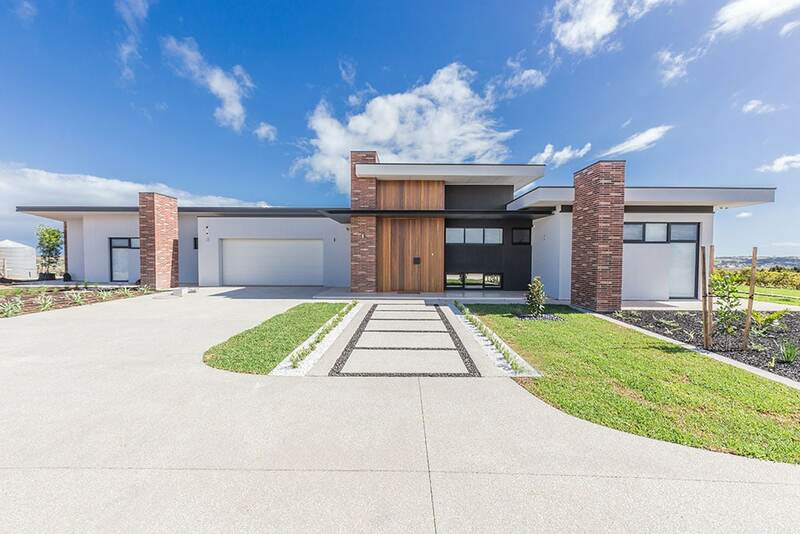 There was a high complexity of build on this project as many features were one off and unique to this home. 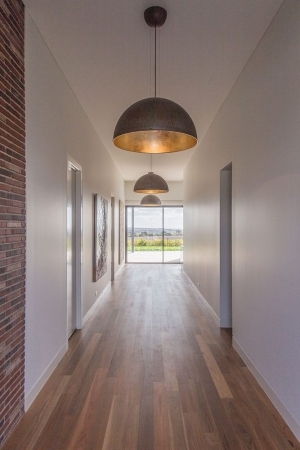 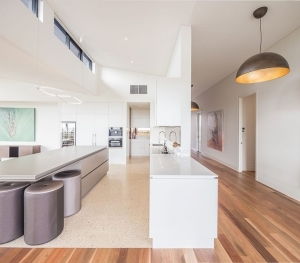 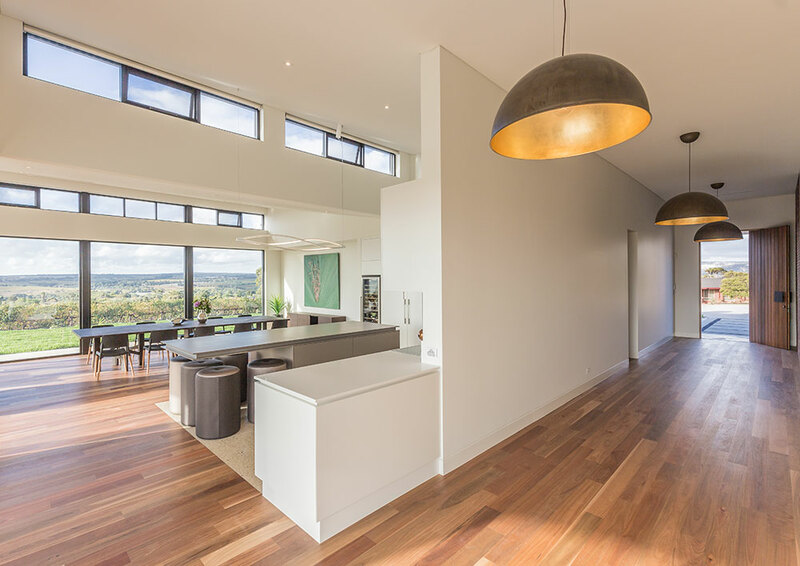 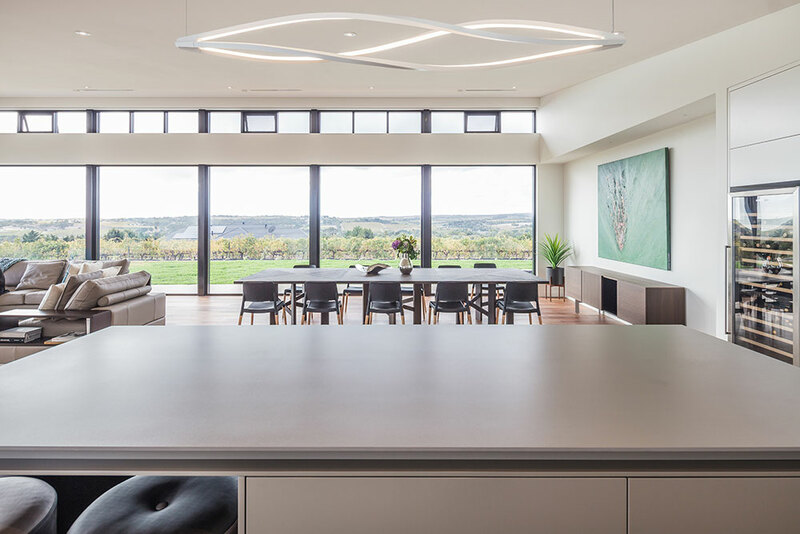 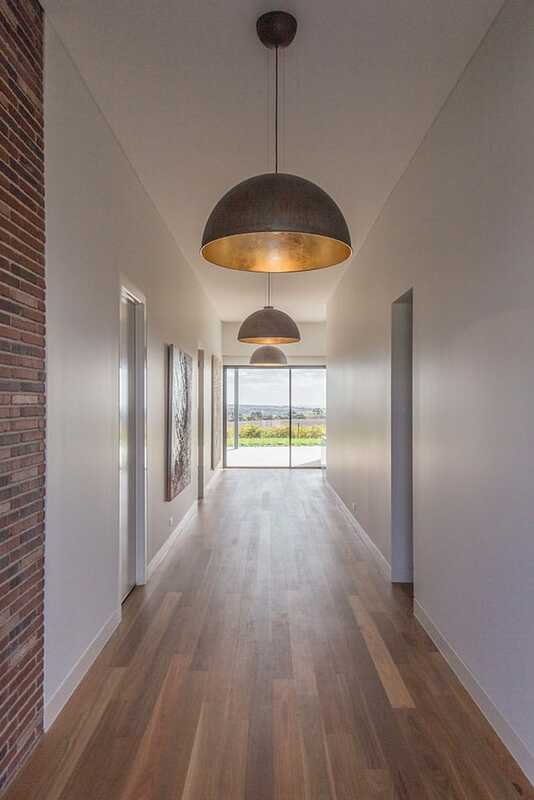 The multiple skillion rooves flood light into areas including the minor bedroom hallway from the South East, kitchen and meals but importantly these design elements give human scale and proportion within, creating multiple ceiling heights ranging from 3m to 4.2m high ceilings in the main living space. 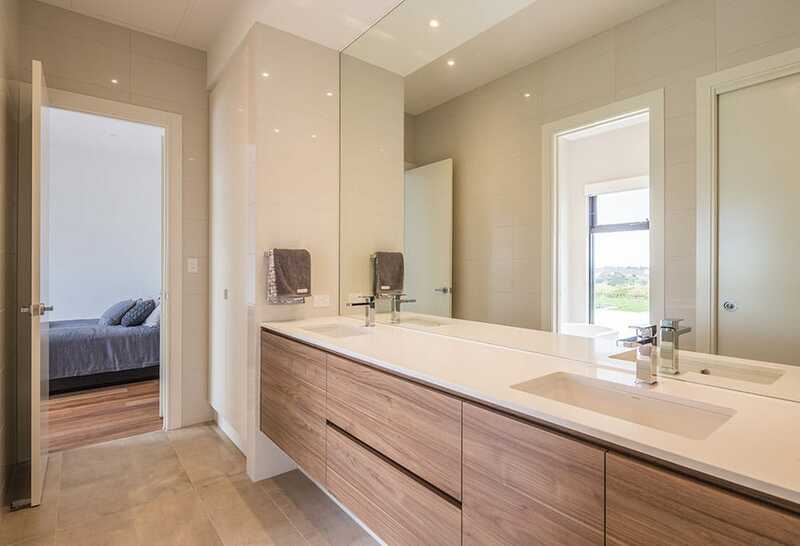 The ceiling heights masterfully play with proportion and the height in the minor bedroom passage accentuates the sense of space. 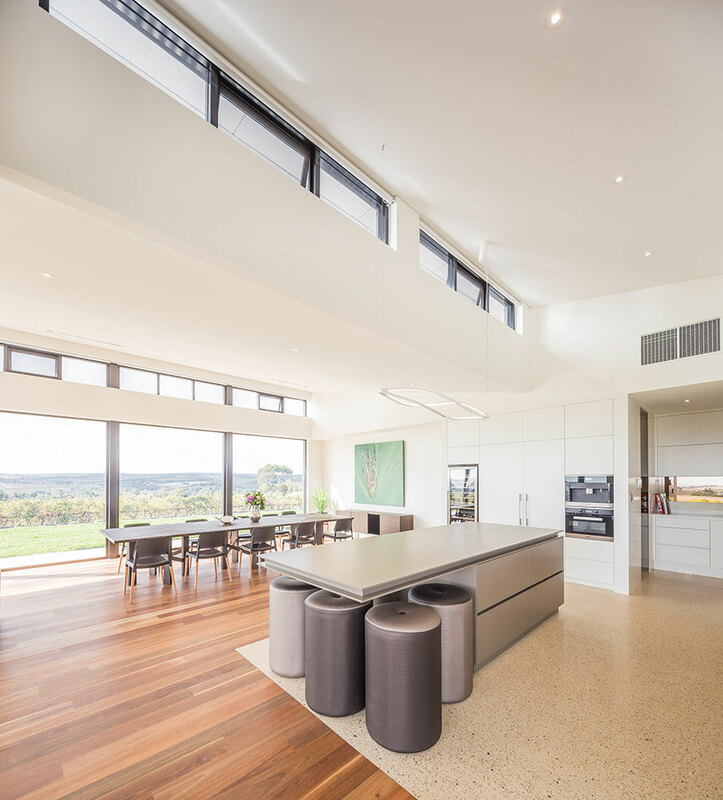 Throughout planning, spatial ergonomics was integral to marry both aesthetics and functionality of each room. 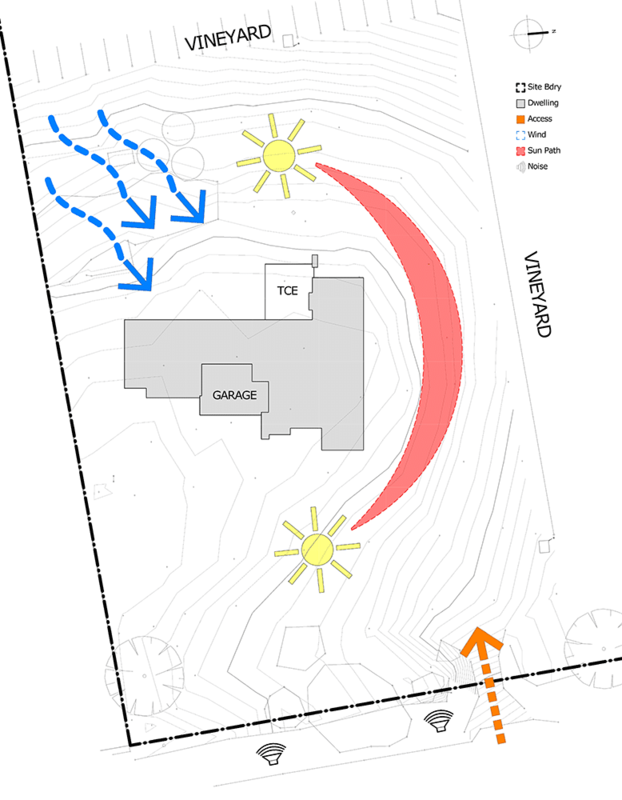 The floor plan is segmented into a main living quarters and children’s wings with dual access to both living quadrants via the main gallery. The Laundry was cleverly designed so that the width accommodated both linen storage and the ability to iron within the space. The home cleverly incorporates an abundance of storage, including but not limited to the garage storage; linen in the minor passage hallway, hallway to the main bedroom and powder room; opulent butler’s pantry and semi-commercial style kitchen. 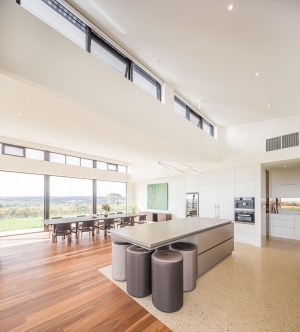 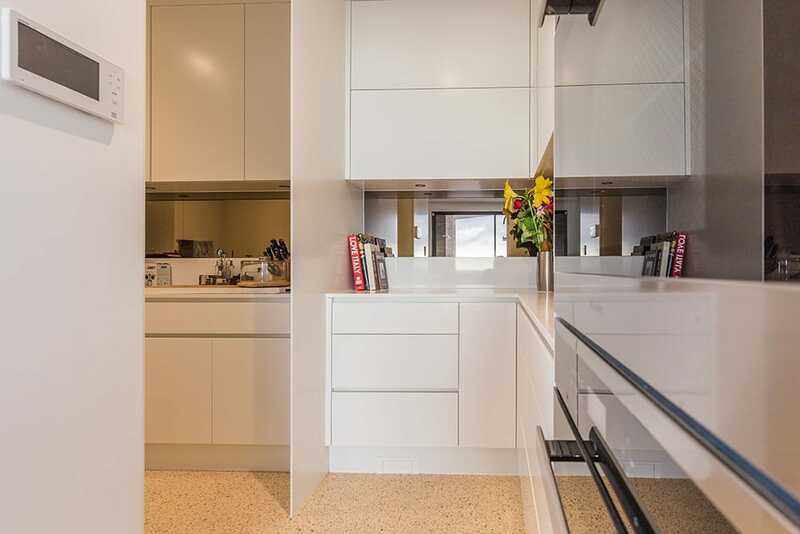 The North-facing open plan Kitchen, Living and Family area ensures optimal light penetration. 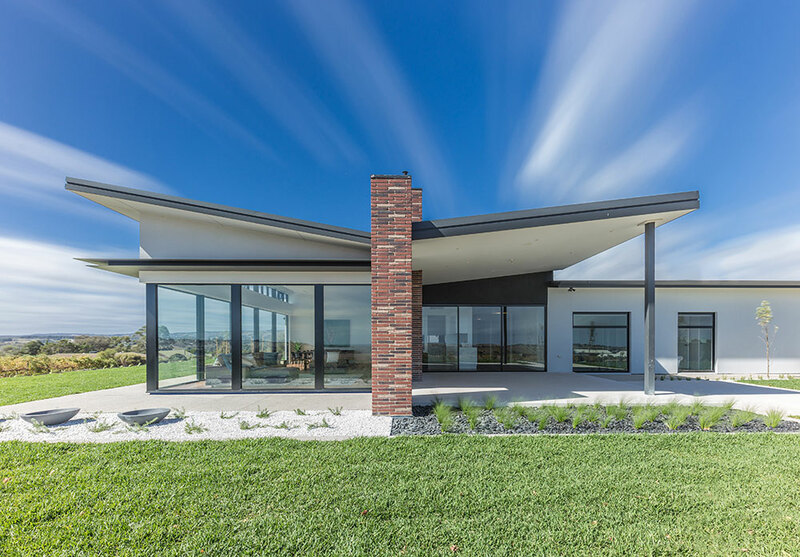 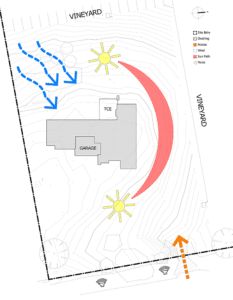 The home features layered steel canopies and expansive eaves which serve as shading devices. 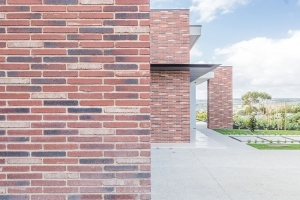 The building’s efficiency is further enhanced by the thermal mass of the feature bricks, Comfort Plus glazing to the North West façade, cross ventilation of automated high-level windows in the Kitchen and passage, a 75mm roof blanket and heavy insulation to all the ceiling, external and internal walls. 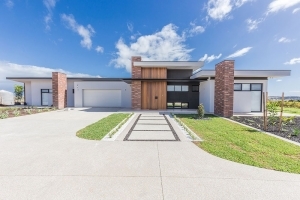 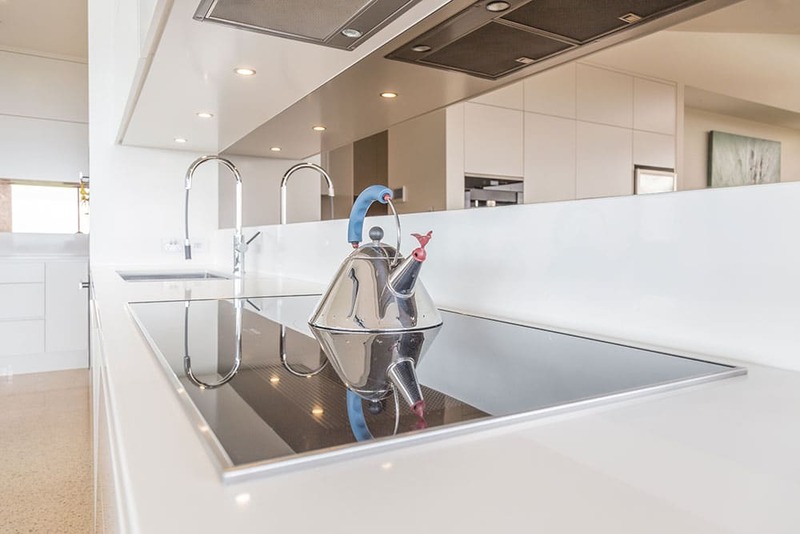 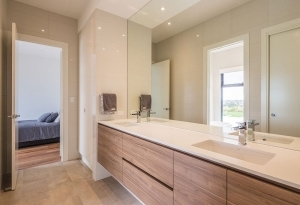 Overall, this luxury home with its cutting edge style, innovation, and quality workmanship is a stunning example of Finesse Built’s in-house design ability.